Middle East and Africa » Africa » How African is the Arab revolution? How African is the Arab revolution? Though the ‘Arab’ revolution started in North Africa, most debate has focused on the Arab world, but what about the rest of Africa? It was vaguely reminiscent of when Egypt won the African Cup of Nations for the second time in a row and for a record seventh time in 2010, and it seemed that pretty much every African I came across would warmly congratulate me on my native country’s “stunning “achievement. When I visited Kenya in March, it seemed that pretty much everyone I came across wanted to talk about the revolutions in Egypt and Tunisia, and the tragedy in Libya. As soon as I touched down, the first person I came across – David, a Namibian public official who shared a taxi with me from the airport into town – confessed how compulsively he had been watching events unfold in Egypt, and how the north African revolutions evoked in his mind and those of other Namibians an excitement they had not felt since the fall of apartheid. I was surprised that, on the other side of the continent, in a country with almost no political, economic, cultural or historical ties with Egypt, the Egyptian revolution could resonate so intensely. But perhaps I shouldn’t have been, as there is something universally appealing about people braving oppression to defeat tyranny. Besides, as one Kenyan NGO worker put it, millions of Africans are cursed with dictators and tyrants, and so the fact that some of the longest-serving leaders on the continent have been ousted or are on their way out – and all this through the unleashed power of ordinary people – is inspirational to marginalised and disenfranchised citizens across the continent. So, could the spirit of the Arab revolution spread south into sub-Saharan Africa? Some people I met are hopeful that it will, citing the fact that many African countries share similar social, economic and demographic realities with Egypt and Tunisia, and that young Africans are waking up to their potential. This “youthquake” certainly appears to be a factor in Nigeria. “As Nigerians prepare for presidential elections next month, what is happening, much less dramatically than in north Africa but with perhaps as much long-term significance, is that the youth is finally awake,” Chimamanda Ngozi Adichie wrote recently. Others are of the opinion that events up north will have little impact further south. “Many Africans see these revolutions as an ‘Arab’ thing and do not really see themselves as part of these events,” said Marion, a Kenyan social activist. And the failure of Zimbabwean activists to mount a Cairo-style “million citizen march” in Harare’s very own Tahrir Square lends some credence to this view. Some also cited the more fractured and fragile nature of many African societies, and how tribalism and other divisions, as well as poor communication infrastructure, would make it difficult to mobilise the population as a whole to rally round a single agenda. When I mentioned that this feared tribalism had not stopped Libyans of diverse backgrounds from uniting against Muammar Gaddafi, Sarah, who cut a fearsome matriarchal figure, predicted in no uncertain terms that she expected the Libyan dictator to emerge victorious – an outcome she favoured immensely. “In Africa, we need strong men to hold our societies together, otherwise we will have civil war, as Libya is proving,” she asserted defiantly, unleashing a storm of protest from her colleagues – who, like me, pointed out that the civil strife in Libya is entirely of the Gaddafi family’s making. I was shocked that she could speak of the Libyan leader, who had ordered air strikes and declared war on his own people, with such abandon and apparent infatuation. “And where will the rest of Africa be without Gaddafi? Forgotten and neglected,” she said, expressing her expectation that the new crop of north African regimes would not be nearly as generous or involved in the African scene as Africa’s self-crowned “king of kings” was. These assertions drove home to me how many Africans share – along with Arabs, at least, until the revolution changed attitudes – a belief in the apparent futility of freedom. The legacy of colonial oppression and exploitation, followed by postcolonial despotism and corporatism, has left many Africans disillusioned and sceptical that they can become masters of their own destiny. But despite this negative self-image and the outside world’s view of Africa as a hopeless, benighted continent, an under-remarked revolution, or perhaps evolution, has been unfolding in many parts of the continent. Kenya is a good example. 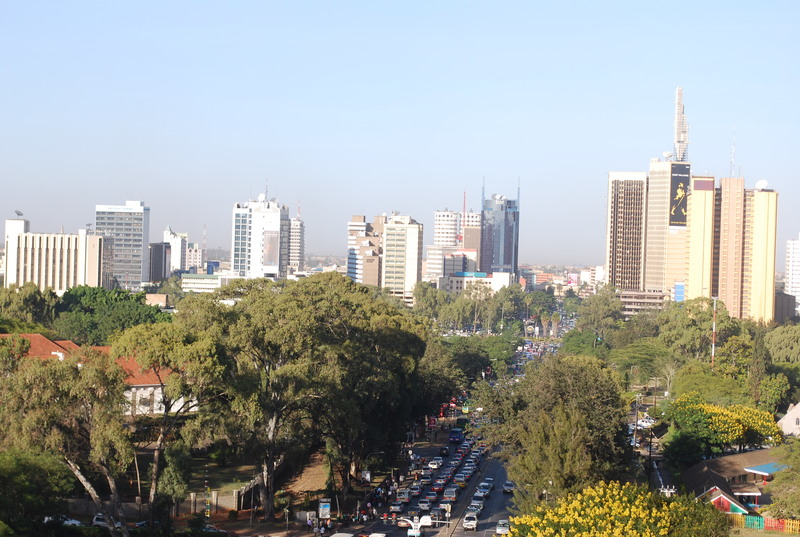 Despite large income inequalities and a relatively high crime rate, clean and green Nairobi exudes prosperity and self-confidence. Though the city does not have much of a past, it exhibits a hope in the future and the power of freedom and knowledge. In fact, education seems to be a national obsession in Kenya, with some newspapers even leading with their education section. Politically, Kenya has already had its own “revolution”, when its former dictator, Daniel arap Moi, was forced to step down in 2002, and his anointed successor, who also happened to be the son of Kenya’s founding father, was hammered at the ballot box. Things have soured somewhat. 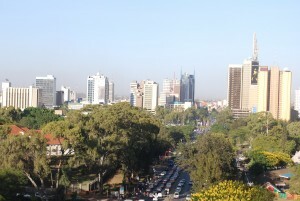 Kenya’s current president, Mwai Kibaki, has exhibited psuedo-dictatorial tendencies and managed to hold on to power in 2007 amid accusations of vote-rigging, which sparked a wave of protests and violence that rocked the country. “In Kenya, we take 10 steps forward and 12 steps back,” one Kenyan joked. My personal impression is that, despite numerous setbacks, the country is advancing. For example, Kenya’s new constitution, despite delays in its implementation, will limit the power of the presidency, boost the transparency and authority of the judiciary, and empower women. From Kenya’s maturing democracy to Namibia’s successful post-apartheid multiparty democracy to South Sudan’s peaceful divorce from the north, Africans are slowly and gradually charting a course towards a brighter and freer future that is far removed from the images of conflict and destruction with which the outside world is most familiar. This column appeared in the Guardian newspaper’s Comment is Free section on 28 March 2011. Read the full discussion here.